Nothing says cozy like coming home to a blazing fire on a chilly winter day. Burning an open fire indoors, however, doesn’t come without its risks. Maintaining a dry, structurally sound chimney is important for ensuring that you and your family can enjoy a safe, fume-free fire and for eliminating the potential hazard of the fire spreading outside the confines of the fireplace. It’s always a good idea to start the season off right by having your chimney swept so that your fires burn more safely and cleanly. At the beginning of the season, get into the habit of making a careful inspection of the overall condition of your chimney, and enlist your chimney sweep to help. Older homes in particular may be susceptible to chimney wear and tear that could pollute the air in your home, reduce heating efficiency, or even lead to a fire starting in your home. Learning a little about masonry and the telltale signs of chimney damage could save you in the long run. Damage to mortar, the binding that holds the chimney brick or other masonry materials together, can be a telltale sign of a number of different issues with your chimney. 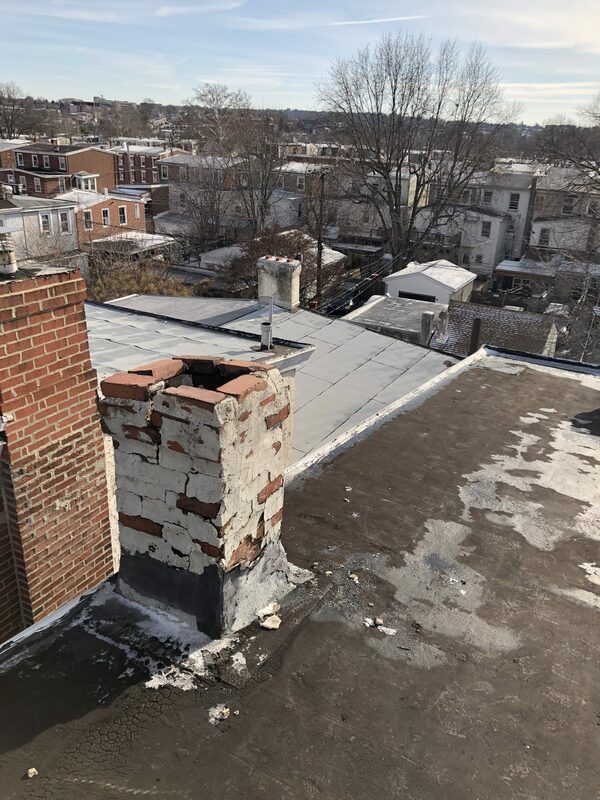 If you have an exposed brick chimney, conduct an annual examination of your chimney surface for damaged mortar or bricks that are beginning to crumble. Weakened or damaged mortar could signal a structural problem in your chimney that could ultimately cause your chimney to collapse. The cycle of extreme temperatures in our area will cause even the best application of mortar to wear down over time. It is always best to have mortar damage assessed by a professional to avoid further damage and greater expense in the future. Finding rust on your firebox or damper is never a good sign. A rusted firebox is an indicator that unwanted moisture has infiltrated your fireplace, which should precipitate an immediate call to a masonry expert. You may also find that the damper is rusty and not working properly. This problem should be remedied as soon as you find the first hint of rust. Catching the problem early will allow you to discover the source of the water intrusion and repair it before it causes more damage to the chimney, or even to the structural integrity of your home’s walls. 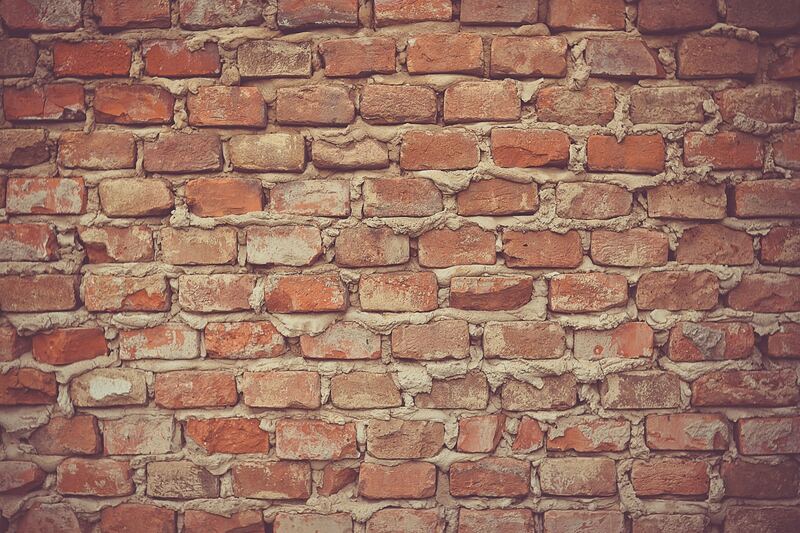 Have you ever noticed when a brick or stone structure has patches of unevenness, where the individual bricks or stones begin to bulge, peel, or flake off? Spalling bricks are yet another sign that water has unfortunately begun to invade your structure. If you notice that individual bricks or stones have begun to crumble or push out from your chimney, it’s time to call a masonry professional for an evaluation. Ignoring this issue may in time necessitate a complete replacement of the structure and cause more damage to the surrounding materials in the meantime. The chimney’s flue carries toxic gases up through your chimney and safely into the outdoors, and the flue liner protects the materials surrounding the chimney from heating up to dangerous temperatures. If you find that flue tiles are beginning to crack off or are separating from the liner and falling into the fireplace itself, it’s time for a repair. Your masonry professional will confirm the problem by using a special camera to inspect the inner surface of the chimney. He may recommend investing in a stainless steel flue, which is very durable and generally will be guaranteed for life. Don’t let damaged flue tiles cause a fire hazard in your home. Call a professional as soon as you notice the issue—a new flue liner can be installed in a matter of a few hours. While you may not be able to diagnose this problem without getting up to roof level, it’s important to check your chimney crown every year for damage. 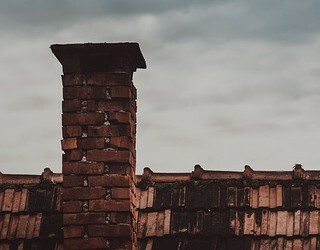 If your chimney crown is cracked, that makes water intrusion far more likely, which can become costly and even dangerous as it begins to create some of the issues listed above. To prevent the water damage associated with a cracked chimney crown, it is wise to seal it, which will prevent future cracking. If the crown is already cracked, you may be able to correct it yourself using a combination of silicone caulk, duct tape, sealant, and water repellent. Of course, a masonry professional can do a better job without the safety hazard. Either way, it is important to ensure that your chimney crown can do its job of protecting your home from the elements. Call McNamara Masonry for a Chimney Job Done Right At McNamara Masonry, we install and repair all types of chimneys, including brick, stone, and cement. With 30 years of serving customers across the Delaware Valley under our belt, we are the area’s most trusted chimney experts. Our full menu of masonry services includes basement waterproofing, patio construction, stone and paver installation, historic restoration and refurbishment, and façade restoration. There is virtually no masonry project that is too big or too small. Don’t let a damaged chimney cause a hazardous situation in your home. Call McNamara Masonry today to schedule a chimney inspection that could save you from major headaches or expense due to a structurally unsound chimney. We’re ready to serve you as the severe winter temperatures are approaching!